As people become more concerned regarding the environment and our impact on the world, new ideas on how we develop products have come into play. One of the solutions to the common issue of overconsumption is the development of reusable products. Everything from eco-friendly shopping bags, cloth diapers, storage containers, rubber gloves and so much more. But the question that comes to mind are the reusable alternatives really as eco-friendly as what they are made out to be? First off, the major issue I see with reusable products is that they do not solve the underlying issue of our society’s problem of overconsumption. Being constantly bombarded with marketing schemes convincing us the latest product will solve all our issues hasn’t helped. When faced with advertisements of the next eco-solution, it is easy to fall in the trap of purchasing more than what we actually need. Being a consumer of eco-friendly products is a quick-fix solution to trying to be more eco-conscious in our lives. It very rarely involves much more thought than us buying into the green-stickered item over our regular buy. Our lives do not usually radically change by purchasing the eco-friendly product and these days eco-products are quite comparable in price to the environmentally-inhibiting alternatives. So why not buy an extra bottle of Eco Store shampoo? What’s wrong with having a closet full of reusable shopping bags? Why wouldn’t one want plastic Rubbermaid containers for everything needing a storage place? Isn’t the sacrifice parents make to thoroughly wash unmentionables out of cloth diapers enough to allow them the claim of being eco-friendly? It’s because when looking at the bigger picture of all the factors involved in the process of creating, using and disposing of these reusable products – they might not be as eco-friendly as what we first perceived. Many of the reusable products created are using an excessive amount of CO2 emissions during the process of creation. Though the products might be used again and again, the effects of them being created cause one to wonder if it is really worth it. Not to mention the process of them being destroyed. Sure, we may use our Rubbermaid containers again and again and again until they finally crack and break down on us, but how many of us actually take the time to recycle them once they’re done in? Many of these reusable items simply end up in the same landfills we were initially hoping we’d avoid filling and yet because of the nature of the material being used for these products, many of them are even less biodegradable then their disposable alternatives. Oh, and dare I mention our actual use of the products? Take cloth diapers, for example. “Cloth diapers may be advertised as reducing solid waste compared to disposables, but they also require more water and waste water treatment” (Ravenswaay, 1996). Even more disturbing is that through a study in Britain, it was shown that “disposable and cloth diapers have the same environmental impact” (Hill, 2009) once factors such as water and energy used to clean the diapers are taken into consideration. “It’s easy for people to visualize disposable diapers clogging landfills, but it’s not as easy to picture the resources required to launder cloth diapers, so it doesn’t seem as alarming” (Hill, 2009). Apparently all things aren’t quite what they seem. And then there’s plastics. Many products made from plastic are made with a bioplastic called PLA. PLA is biodegradable, but exactly how biodegradable it is remains to be seen. That and “until they completely degrade, eco-plastics take up as much space in landfills as normal plastics [and] take about as much energy to produce as traditional plastics” (HowStuffWorks). The thing is, our choices to become more responsible in taking care of our world’s environment are not as simple as buying the product that lasts the longest. “Even the most diligent consumer cannot accurately assess the environmental effects caused by the extraction of raw materials, production, and transportation of the product before it reaches the store shelf and any subsequent impacts from usage and ultimate disposal” (Menell, 1995). So what is the answer? How does one face such a controversy of purchasing a reusable product over a disposable? Personally, I think it comes down to our internal instinct to overbuy. As westernized society’s become increasingly more materialistic and consumerism is a way of life, our choices should be as much about what we buy as it is about how much we buy. We really need to take a hard look at our life styles on a personal and individual level in order to figure out what is right for us. Ignore the ads on the television for the newest eco-product. 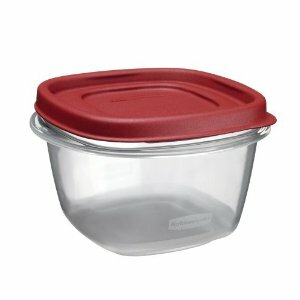 Ignore the grocery store sale fliers regarding a discounted rate on Rubbermaid containers. Stop buying in bulk simply because you can save 50 cents on your purchase of toilet rolls. Just stop it all and reassess what it is that is actually needed. Since travelling on a backpacker budget, I’ve learned how to live with very little. Not so much because I wanted to, but because only so much would fit in my pack. It allowed me to reassess my lifestyle and really work out what it was I needed. I found that if I drank more water, ate healthy food and exercised, I didn’t need to buy the multiple organic-based facial eco-cleansers that I always had thought I needed. I also learned that if I only cooked meals for what I would eat during that meal, then I didn’t need to buy the 10-pack of Rubbermaid containers to store leftovers. I only needed the one or two. I also learned that I didn’t need to necessarily buy the largest tube of toothpaste and I certainly didn’t need to buy the replacement tube as quickly as what I always thought I did. If I paid attention to how much I actually used each time I brushed my teeth, that small tube would last me months. So. Yes, reusable products are good for the environment. But not in every situation. Sometimes it’s better to buy the biodegradable, recycled-material paper plates for a spontaneous dinner party. It’s not going to help the environment if our cupboards and closets are full of all these items we got sucked into buying because their eco-friendly and reusable. We have to remember that our materialistic drive within westernized societies cost the environment everything. Whether or not we are buying the green-stickered products. Menell, P. S. (1995). The Uneasy Case for Ecolabelling. Review of European Community & International Environmental Law , 304-311. Ravenswaay, E. O. (1996). Emerging Demands on Our Food and Agriculture System: Developments in Environmental Labeling. Staff Paper , 96-88.